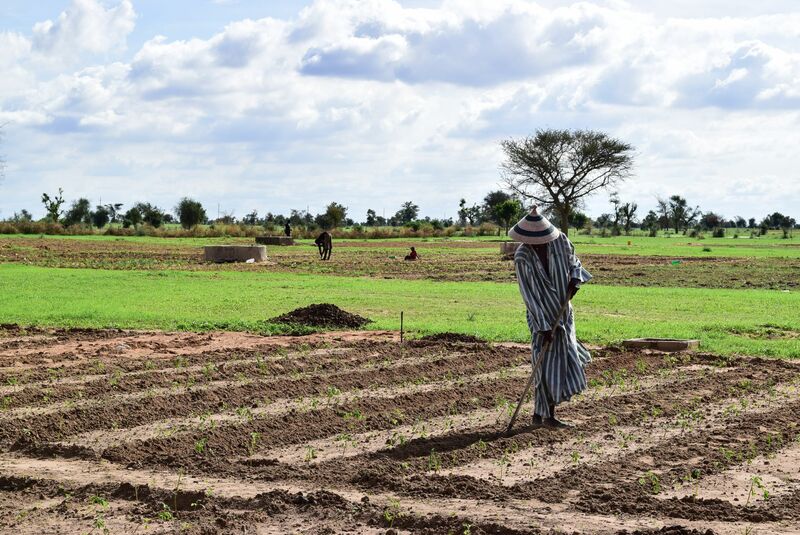 In Senegal, agriculture is the principal economic activity in rural areas. Because of population growth and increasing urbanisation, higher domestic agricultural production has become a prerequisite to ensure food security..
To achieve this goal, Senegal and Belgium have jointly designed a Project which aims to ensure that livestock breeders and farmers have sustainable access to productive water in view of increasing production. Globally, agriculture claims close to 70 percent of freshwater appropriated for human use. 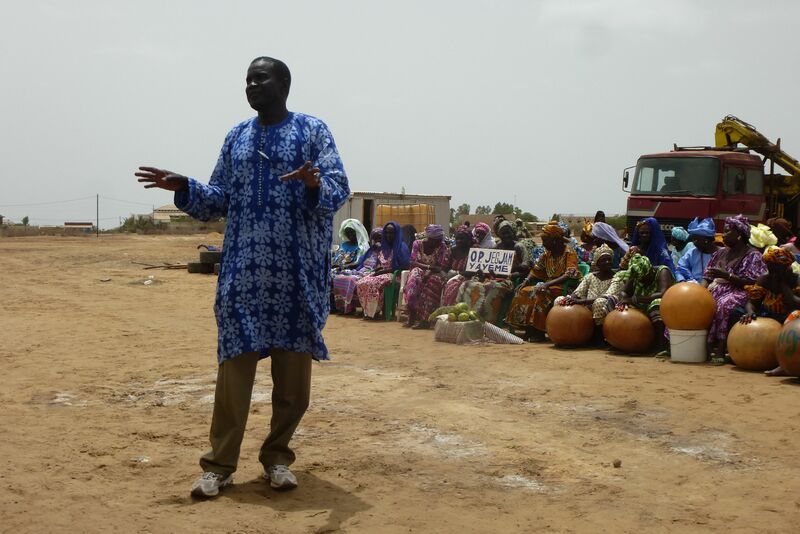 In Senegal, withdrawals for agricultural purposes even take up 93% of available freshwater. According to the FAO, irrigation water withdrawal in 93 developing countries is expected to grow by about 14% by 2030 while some additional 45 million hectares of irrigated land will be created in these countries. So, as the pressure on water resources rises, so do the stakes for today's and tomorrow's agriculture. 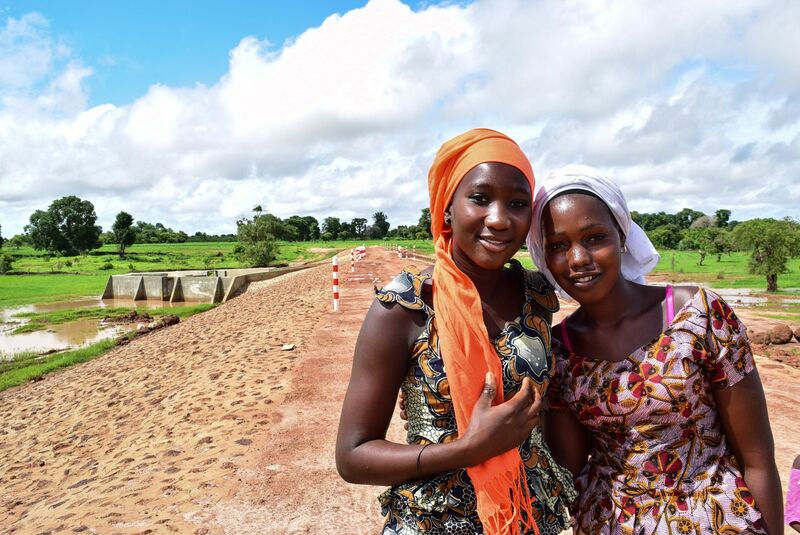 In the course of the past few years many Sub-Saharan countries have committed to building hydro-agricultural infrastructure to meet the growing needs of agriculture. 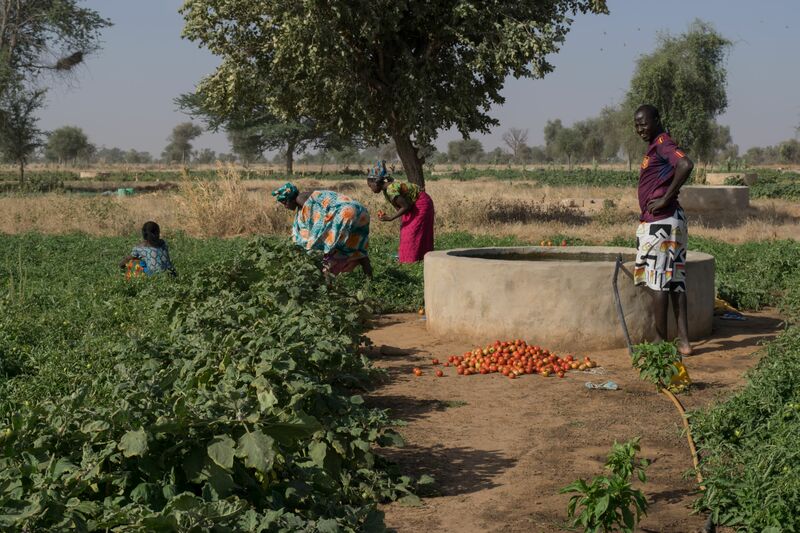 The development of agriculture in West Africa is not limited by the availability of water, but by the lack of infrastructure to store and supply water to farmland and to protect farmland from flooding. 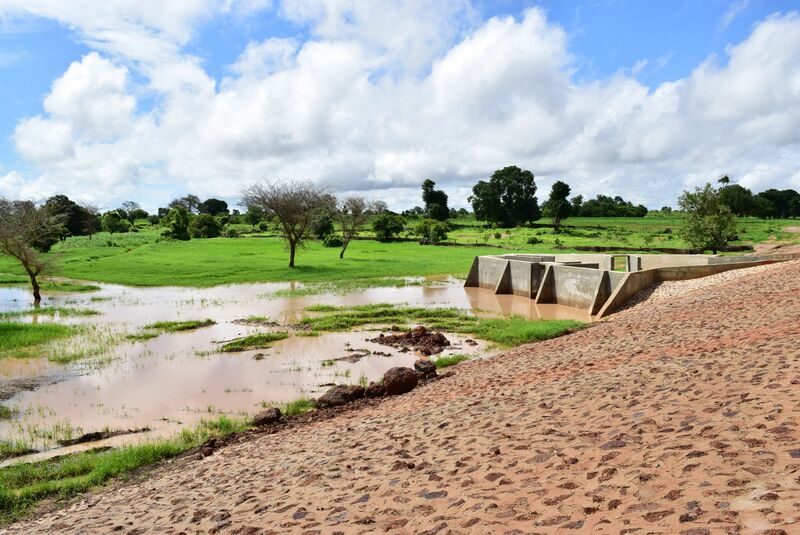 The realisation of hydro-agricultural infrastructure such as embankments, anti-salt dams and boreholes aims to meet the growing need for water of the agricultural sector. 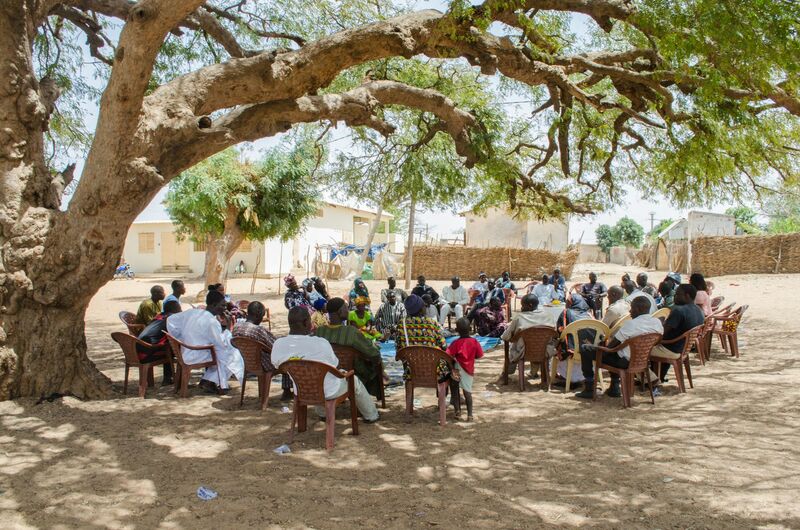 The population of five regions of the Groundnut basin (Diourbel, Fatick, Kaffrine, Kaolack and Thiès) was invited to identify their needs in this respect and to submit a project application. To do so, the communities started a consultation and decision-making process involving farmers, village heads, women and youths. Overall, some 200 rural communities submitted a project application. 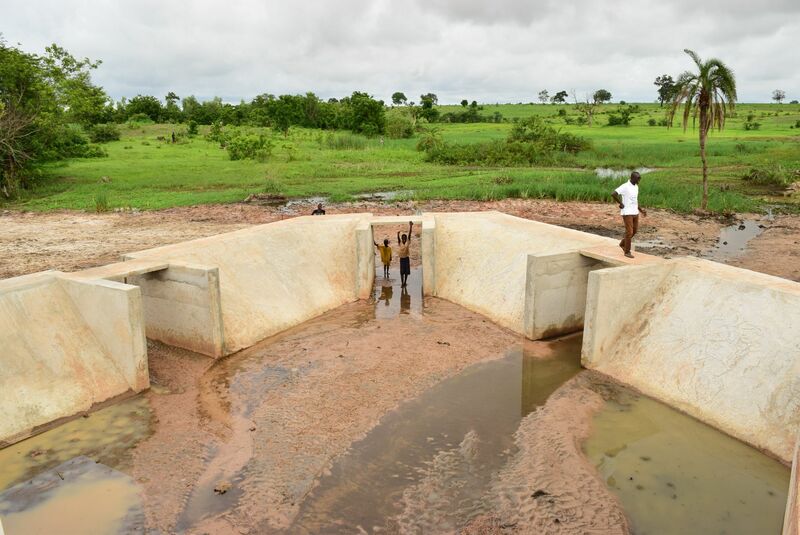 Water retention basins to supply agricultural irrigation systems, to water cattle or to raise the water level of freshwater ponds and foster fisheries. Eleven retention dams have been realised. 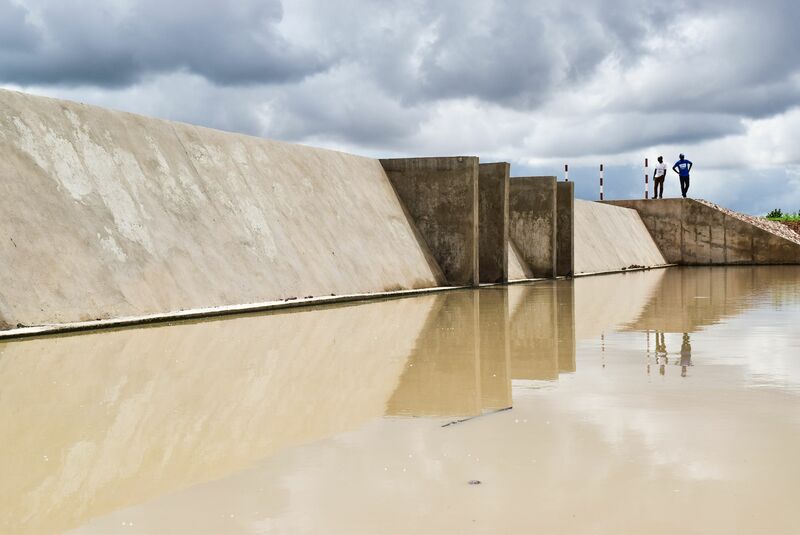 They will store almost seven million m3 of water, which will allow producers to grow rice and market garden produce on approximately 1,000 hectares year-round with two or even three yields per year. Five wells have been re-equipped which allow farmers to develop market garden activities on approximately 50 hectares of land. 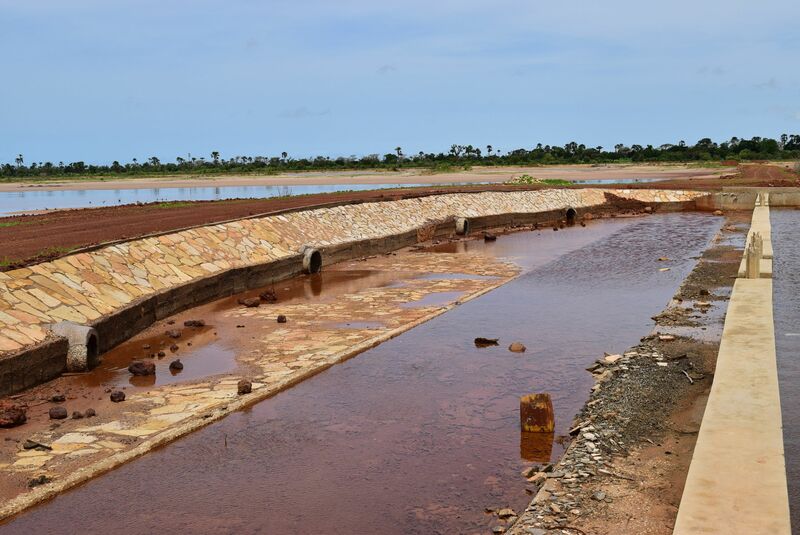 The five anti-salt dams realised allow farmers to reclaim almost 650 hectares of saline land, preventing saline water from contaminating production water and avoiding the loss of farm land. 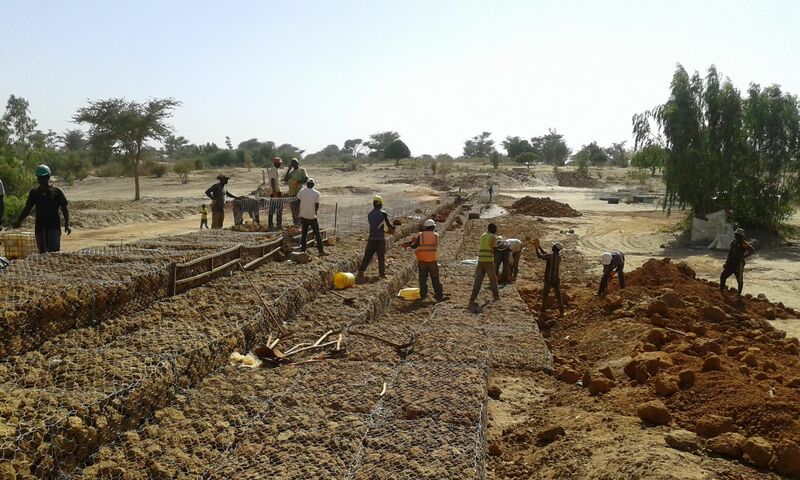 Building of one of the three filtering embankments. They will contribute to recharging groundwater reserves and consequently provide producers with easier access to water. The construction also creates job opportunities for locals. More than 300 youths were employed on this construction site. People are asked to identify the needs of their community in terms of productive water and to submit a project application. The farmers and the communities are encouraged to create local entities that are to monitor, manage and exploit the infrastructure. They are coached and trained to ensure the infrastructure is managed fairly, democratically and sustainably. 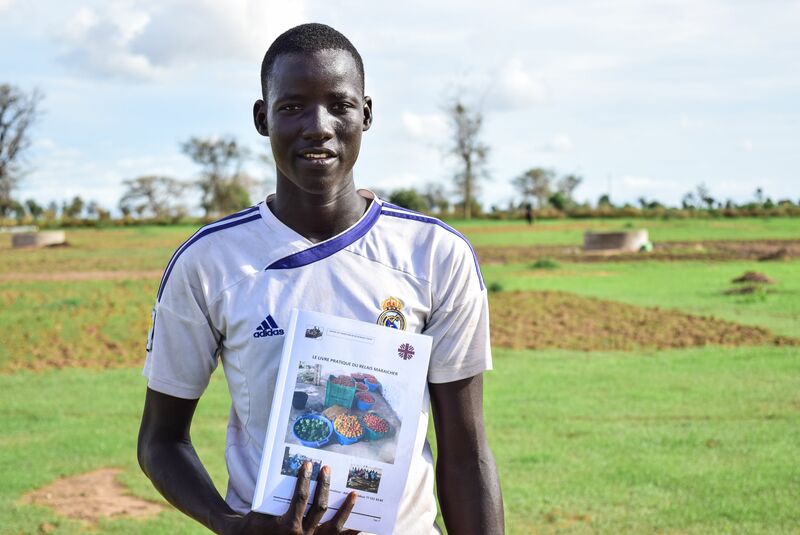 Young farmer of the market garden of Guerlé (Diourbel region) where the population applied for re-equipping a well. A channel of approximately 400 metres brings water to the market garden. Caritas, a partner in the project, coaches the farmers by providing training in market crop production techniques.